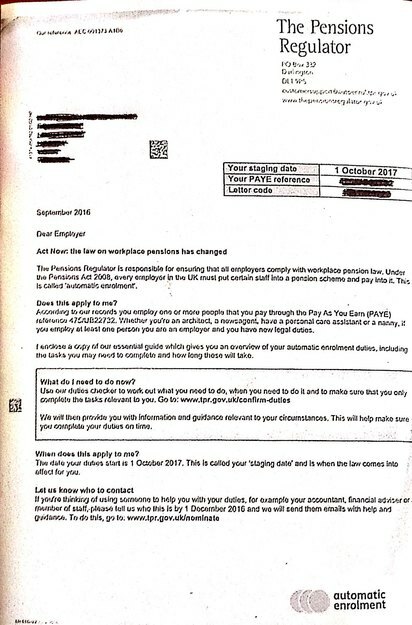 NOT SURE WHAT TO DO ABOUT YOUR LETTER FROM THE PENSIONS REGULATOR? It’s not so hard as you might think. Once set up the ongoing monthly process should be no more difficult than paying your PAYE and NI. Workers are categorised as eligible jobholders , non eligible jobholders and entitled workers . You can choose whether to use Qualifying Band Earnings , Total gross earnings or basic salary. The minimum rates will depend on which earnings you decide to use . You can choose whether to go straight to the minimum levels required from April 2019 or to phase this in over time. • Durable – stands the test of time. • Well invested – offering a suitable default investment fund and appropriate range of funds. 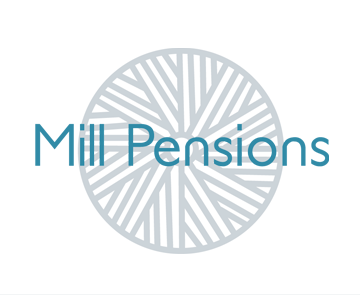 • Well administered – ensuring you meet your employer obligations under the auto-enrolment regulations. • Offering suitable support to your workforce at retirement. • Properly engaging with your workforce at outset and during the time they invest in it. • Offering value for money. Different schemes and different payroll providers have different requirements. These must include certain statutory requirements as well as explaining what is happening in plain English. We are here to help you through this process hand holding at every step of the way and ensure you have the relevant detailed information to help you through the decisions you need to make. The meeting will last no more than half an hour to help us understand your circumstances, explain your obligations based on your actual workforce and identify your specific needs.